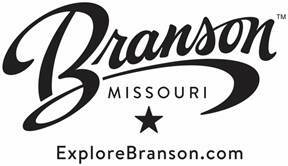 (BRANSON/LAKES AREA, MISSOURI) – Branson is convenient to two-thirds of the country’s population by car, but those who prefer flying can now reach the rising-star golf destination by newly launched airline service at Branson Airport (BKG). Elite Airways began daily non-stop service July 15 from Branson to Denver (DEN) and Houston (IAH) with connections to over 100 markets nationwide tomorrow. The Branson Airport, Elite Airways and Great Lakes Airlines have teamed up to launch this new program. Customers can book non-stop flights between Branson and Denver or Houston at EliteAirways.com, or connecting ones through those cities. The full range of flight options is also available on your favorite travel websites such as United.com, Expedia, Travelocity, or Orbitz. The new Elite Airways’ service will deliver more than 100 connections to major U.S. cities with multiple flight options. Flights are available now at FlyBranson.com. The Branson area golf destination has something for virtually everyone — short courses (Don Gardner and Holiday Hills), championship courses (Branson Hills), new courses (Top of the Rock), popular courses (LedgeStone and Pointe Royale), courses with no surrounding development (Buffalo Ridge Springs) and courses in the heart of Branson (Thousand Hills). It can now offer a new distinction to discerning players – courses that are amenities of the top-rated resort hotel in the Midwest, as determined by Travel + Leisure magazine readers. More than 200,000 survey respondents weighed in and thrust Big Cedar Lodge to the top spot of the travel publication’s “World’s Best Awards” issue (August 2016). In addition to existing Big Cedar Lodge golf courses – Top of the Rock and Buffalo Ridge Springs – two more courses are being built, a 12-hole, family-friendly course designed by World Golf Hall of Fame member Gary Player and an 18-hole course by Bill Coore and Ben Crenshaw. The courses Coore and Crenshaw have designed read like an “America’s Best Courses” list: Bandon Preserve, Streamsong Resort, Barton Creek, Bandon Trails, Kapalua’s Plantation Course and many more. LA ROMANA, D.R. 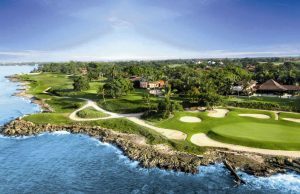 (July 21, 2016) – Casa de Campo Resort & Villas has announced that it will be hosting its 2nd annual Latin American Pro Am golf tournament on its legendary Teeth of the Dog golf course from August 16-20, 2016. The tournament has become one of the most highly anticipated summer events in the Caribbean with teams of both professionals and amateurs teaming up to take on the #1 golf course in Latin America. Following a practice round on August 16th, the Latin American Pro Am will consist of three rounds that will be played from August 17th-19th. The tournament is format consists of 1 Best Ball (1st Day), 1 Best Ball Net and 1 Best Ball Gross (2nd Day), and 2 Best Ball Net (3rd Day). Professionals will be competing in the professional flight using Stableford Scoring as well as helping their team in the main team tournament competition. Amateurs will be competing for prizes for the overall winners, as well as 1st and 2nd place winners in each flight, while professionals will be awarded prizes for 1st, 2nd, and 3rd place with gift certificates to the Golf Shop. The low professional will win an exemption into the Casa de Campo Dominican Republic Open in 2017*. 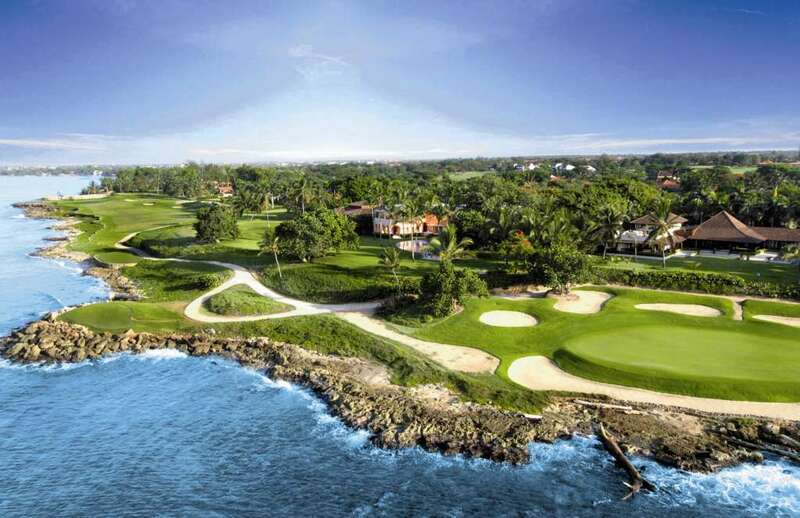 The 2016 Latin American Pro Am package includes complimentary accommodations at Casa de Campo Resort & Villas in a Pete Dye Lodge or Elite accommodation for four nights plus daily breakfast, lunch, and dinner; one golf cart per room; unlimited drinks at all hotel bars and restaurants; oasis bars and carts on the golf courses; unlimited green fees, carts, range balls and club storage; an invitation to the tournament welcome dinner and awards banquet; tournament entry fee, favors and prizes; taxes and service charges; and complimentary transfer from La Romana, Santo Domingo or Punta Cana airports. Rates start at $2,164 USD per person in a Pete Dye Golf Lodge double room or $2,267 USD in an Elite double room. To register for the tournament or to learn more about the 2nd Annual Latin American Pro Am Tournament, please call 809-523-8115; toll free 1-888-212-5073; or email golf@ccampo.com.do. Meticulously hand-carved from the rugged rock and coral of the Dominican coastline, Teeth of the Dog has earned its reputation as a hard-fought and challenging course. A Pete Dye signature course, Teeth of the Dog is the #1 ranked golf course in Latin America and #39 in the world by Golf Magazine. The course was also named “The Caribbean’s Best Golf Course” by World Golf Awards as well as the #1 golf resort in the world by the International Association of Golf Tour Operators (IAGTO) for its collection of golf courses, professional facilities, luxury amenities, as well as its executive team’s commitment to service and exceeding guest expectations. *Only if the event takes place and if the professional is eligible. For every birdie Rohanna makes through 2016, 84 Lumber and Nemacolin Woodlands Resort will match donations benefiting those affected by the West Virginia flood. Eighty Four, Pennsylvania – July 15, 2016 – 84 Lumber, the nation’s leading privately held building materials and services supplier, and Nemacolin Woodlands Resort, one of North America’s premier luxury resort destinations, are partnering with professional golfer Rachel Rohanna to aid in the southern West Virginia flood relief efforts. A Pennsylvania native, Rohanna is sponsored on the LPGA tour by 84 Lumber and Nemacolin Woodlands Resort founder, Joe Hardy. Starting with this weekend’s Marathon Classic presented by Owens Corning and O-I, Rohanna has committed to a $100 donation for every birdie (a score of one stroke under par) through the end of the 2016 professional season. 84 Lumber and Nemacolin will match Rohanna’s donation, thus tripling the initial pledge for a grand total of $300 per birdie. The funds will be donated to the West Virginia Voluntary Organizations Active in Disaster’s (WV-VOAD) general flood relief fund. In addition to matching Rohanna’s monetary commitment, 84 Lumber also recently donated over $20,000 worth of the most-needed personal items to the WV-VOAD in support of the flood relief efforts. Those wishing to contribute to the WV-VOAD can make a one time or recurring donation here. For more information on 84 Lumber, visit www.84lumber.com. For more information on Nemacolin Woodlands Resort, visit www.nemacolin.com. Nemacolin is one of North America’s premier luxury resort destinations. Situated on nearly 2,000 acres in Farmington, Pennsylvania, Nemacolin features 320 luxurious guestrooms, suites, townhouses and private upscale homes. The resort offers championship golf including the Pete Dye-designed Mystic Rock golf course, as well as an internationally acclaimed spa collection. Outdoor enthusiasts can enjoy our Shooting Academy; Wildlife Academy that features everything from safari tours to dog sledding; Adventure Center complete with ziplines and climbing wall; and Jeep Off-Road Driving Academy. Nemacolin boasts 15 restaurants and lounges, including Lautrec, a Forbes Five Star and AAA Five Diamond restaurant experience. For meetings and events Nemacolin’s 32,000 sq. ft. of conference space includes three ballrooms, a lecture hall and 25 meeting rooms.